La chambre principale a un lit king size et un canapé-lit double et une vue complète sur le golfe et une salle de bain principale. La chambre d'amis est équipée d'un lit queen et d'un lit jumeau. En outre, il y a un canapé-lit queen dans le salon. This was our best vacation ever. The condo was beautiful, perfect location, loved the view. Couldn’t get any better. Weather was great. Great friends traveled to Destin also so overall we had an amazing time. I would definitely rent the condo again. It Truly was amazing. Sitting on the patio listening to the ocean waves doesn’t get any better. Thank you again for letting my son and I rent your place. We will definitely be back. Had a great view of the gulf and we enjoyed our stay. The only thing bad i would have to say is the jetted tub in master bath didnt work and the pans werent as nice as i was expecting. We loved our stay! Amazing views and really great accommodations! Location was great. Management team responsive. Condo comfortable. We have stayed in this building last year. It has all the amenities one would desire.heated pool , great view, washer and dryer, Well furnished kitchen. We plan on making reservations soon for Thanksgiving. You will not retreat stay in this unit. Great condo! We had a wonderful time! Wonderful condo! 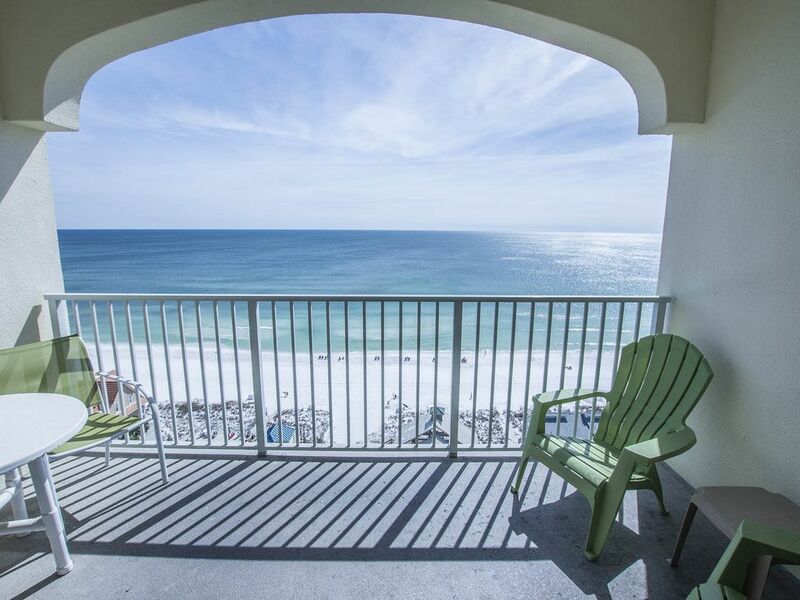 Very clean and comfortable with a fantastic view of the gulf and beach! Easy checkin and checkout (you dont have to swing by a mgmt office to pickup/drop off packets of info/codes, etc.). The only reason I do not give this location 5 stars is b/c although I restricted our VRBO search to only beachfront properties, this unit is NOT directly on the beach, which I did not discover until a few days before our trip when I mapped the location. Therefore, although tagged as a beachfront/gulf front location on VRBO, the beach is ACROSS the street. It is definitely easy to get to and your view is not blocked by a bldg in front of it, but again, it is not beachfront as indicated by VRBO. Only other negatives is that the washing machine is super LOUD but then again, who does that much laundry on vacay? Also, although no one had booked the condo to come in right after us on the day we were checking out, we were denied a later check out (of 1130am instead of 10am) b/c we were given the weak excuse that housekeeping already had their schedule and mgmt was apparently not willing to try to accommodate us. Despite those negatives, we would stay here again if we cannot find another comparable condo directly on the beach.